This is the 213th Motown single side I’ve reviewed for Motown Junkies. 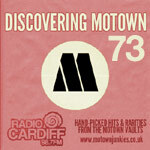 In that time, I’ve seen a few glaring examples of Motown issuing B-sides which were considerably better than the A-sides they lived underneath – try Debbie Dean’s A New Girl, Andre Williams’ Shoo-Doo, Eddie Holland’s Take A Chance On Me or the Downbeats’ rollicking Request Of A Fool for starters. However, if there’s another Motown B-side as totally, criminally overlooked as this, I’ll be mightily impressed. This is a reworking of an old spiritual, a standard in the gospel canon (despite the writing credit). Seemingly written as a genteel hymn back at the start of the Twentieth Century, and often titled I Am A Poor Pilgrim Of Sorrow or some variation thereof, it’s long since been co-opted (check out this eerie version by the Old Regular Baptists from the Smithsonian Folkways CD as an example of how the source material has been traditionally interpreted over the decades) into a proper, full on gospel spiritual. Which, granted, isn’t a promising start. But this is also genuinely brilliant. It makes the hairs stand up on the back of my neck. And it’s all the better for being completely unexpected – its brilliance is both unheralded and out of nowhere, which is just superb. No less a star than Sam Cooke turned in a superb rendition of this song, but his version still isn’t as good as this one. Cooke’s version is beautiful and eminently listenable, but it’s still a soft coating of R&B gloss on the acapella structure of the old spiritual – same chords, same pacing. By adapting the Majestics’ chord changes, vocal hand-offs and other tricks, and marrying them to some clever, pervasive instrumentation, the Wright Specials turned the song into something approaching a pop record. Opening with doleful, crashing chords hammered out on an echoing piano, some soft, subtle brushed drums then strike up a steady downtempo rhythm, shuffling aong with a spiritual gait. The resultant mix, deep and resonant, is immediately ensnaring, sounding like nothing else Motown had yet put their name to. Where many spirituals rely on the talents of the singers to extemporise a melody around a pre-sketched skeleton theme, this one is a proper tune, no question. A strong tune, too, all built around that bashed piano riff, which provides an unexpectedly catchy hook. But it’s the Specials themselves that finally make this a great record. So often, the performances of gospel choirs on record are a slight let-down, the cold, impersonal studio setting, lack of visuals and missing context often robbing a strong church choir of its power. Not here. The choir provide some of the best backing vocals yet seen on a Motown record, going from soft and beautiful to piercing from a standing start, and they help to complete not one but two corking lead vocal performances. Firstly, they transition seamlessly from the group introduction to the first solo vocal; whoever she is, she’s got a big voice, and yet her initial appearance on the record is masked by the choir taking up the exact same line and her joining in, as one of them, at the 18 second mark. It’s a very clever trick; I don’t know if this is a standard gospel thing, but it’s the sort of idea Smokey Robinson would later put to excellent use on a host of Marvelettes and Miracles records, among others. The unidentified first lead singer – or Vocalist One, as I’ll call her – is given the onerous duty of carrying the song entirely solo from that point up until the second movement of the song at 1:55. It’s Vocalist One’s lot to sing the iconic first solo line of the song – I am a poor pilgrim of sorrow – and she then handles the record with ease through the entire first half. And she’s very good, melismatic and full of soul, a voice that could have done secular R&B and blues proud. She takes us right up until the other killer hook line – I’m starting to make heaven my home – and this is already the best gospel record Motown had been involved with. But then, at 1:55, Vocalist One recedes into the background, her job done, and the music swells quite unexpectedly – putting an upsurge on that piano riff, drums and piano pounding to a massive crescendo – and enter Vocalist Two, seemingly the same girl who featured on lead on the A-side That’s What He Is To Me (and who probably isn’t a teenaged Kim Weston, who was definitely in the Wright Specials at the time, but who isn’t thought to have joined this recording session). After which she sits back down, leaving the choir to take the last couple of lines – a reprise of the intro from the very start of the record, I heard of a city called heaven, which they again handle quite beautifully – before a third, almost equally loud lead vocalist takes us home to the coda. The performances, the arrangement, they’re all top-quality. I think I like this because it’s also not too overtly, clunkily religious – rather, it’s capable of being taken both as a literal, Biblical church number and also as a universal lament and a wish/affirmation that better times lie ahead. I love it. I can even forgive it for the inexplicable moment 44 seconds in when someone in the choir either sneezes or clears their throat, quite loudly and very audibly. Why wasn’t it the A-side? That’s What He Is To Me is good and all, but this is something else, real stop what you’re doing, sit up and take notice stuff. It’s spellbinding, and difficult to ignore; even now, fifty years later, it retains a good deal of power where many other spiritual records have lost their crossover appeal, and that’s because of the catchy arrangement and the passionate performances. The Wright Specials had delivered both an exceptionally fine record, and as promising a start as was ever going to be possible for Motown’s new Divinity Records imprint. They’d return for one more single the following year, but as far as I’m concerned, their work was already done. Quite magnificent. I like your assessment of this song very much and you certainly hit the right buttons for me. I love this song but am bereft that Kim isn’t on it. I remember having a conversation with her years ago backstage at some club and she told me then that she didn’t record with this gospel group. Conicdentally I won a 45 on Ebay just last week of a gospel group – the Terry Lynn Community Choir- that Kim produced for the Stax subsidiary label The Gsopel Truth. I love that one too. I really wasn’t expecting anything of this, so it was a super bonus surprise when it turned out to be as excellent as it is. As for Kim Weston, mm, it’s a real shame in a lot of ways (though it’s not in dispute that she was a member of the Wright Specials, albeit not for recording sessions). I would really like to know who that vocalist is, though, she’s extraordinary. I just listened to this magnificent cut on Youtube, but noticed something really out of the ordinary. At the :44 mark, it sounds like someone elicits a deep belch or burp, and the engineers either forgot to edit it out of the final release, or technology wasn’t advanced enough to remove it. Strange, isn’t it? I alluded to this in the review above – I think it’s either a sneeze or someone clearing their throat. Gospel acts were often recorded in a very straightforward fashion (often with just one mic), and with an ensemble act like this, and with this being just one of a number of cuts the group were laying down that day, I think it’s quite likely there wasn’t the time or inclination for a re-take and Motown decided it was fine as it was. The first lead voice that you hear from the intro to the 1:55 point, according to Kim, is Betty. By the way…Hello to David Bell! Thanks for your input. Is that Delores Hall the same one who sang duets with Jackie Lee on Mirwood Records? I never would have guessed that she had originally been from Detroit. But, I guess that if Kell Osbourne could migrate from Detroit to L.A., that Delores Hall could do the same.